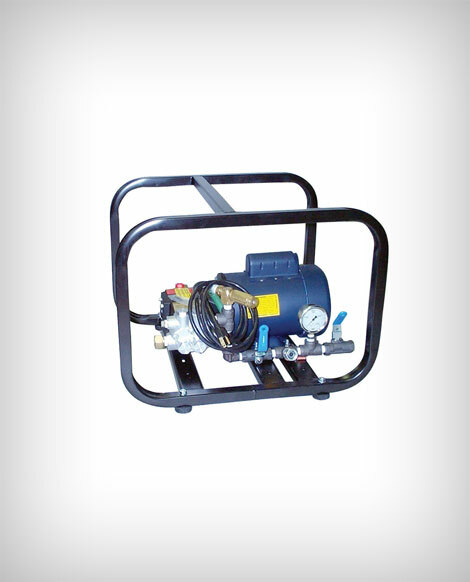 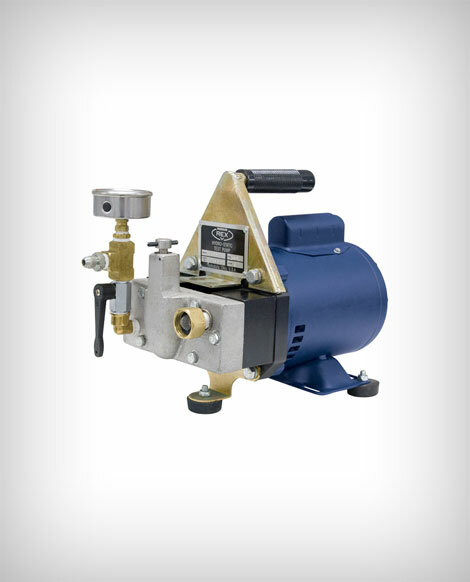 A triplex plunger pump capable of testing industrial lines up to 3,000 PSI while pumping 3.5 gallons per minute. 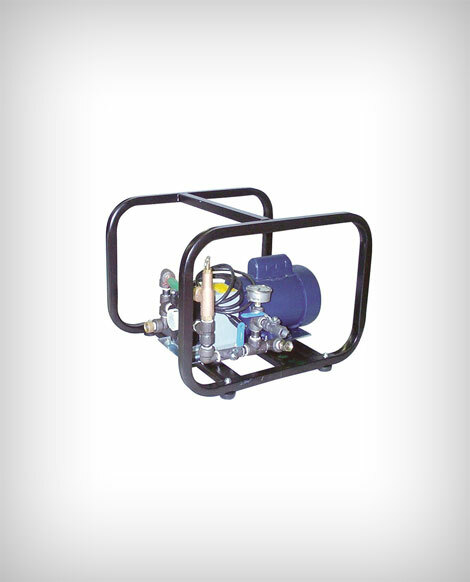 Designed specifically for indoor use when a gas engine isn’t an option. 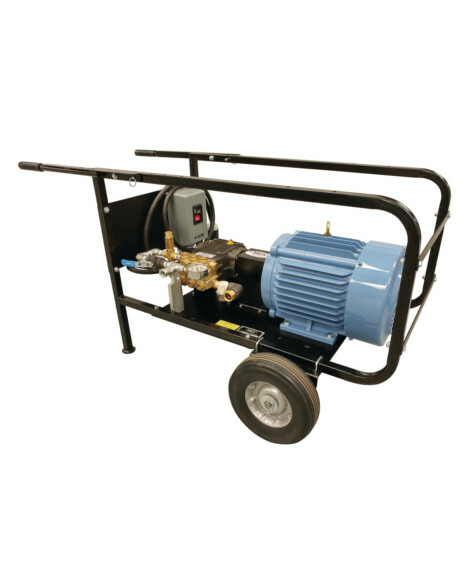 Comes standard on a roll cage cart for easier movement when on the job site, as well as offering protection for your pump. 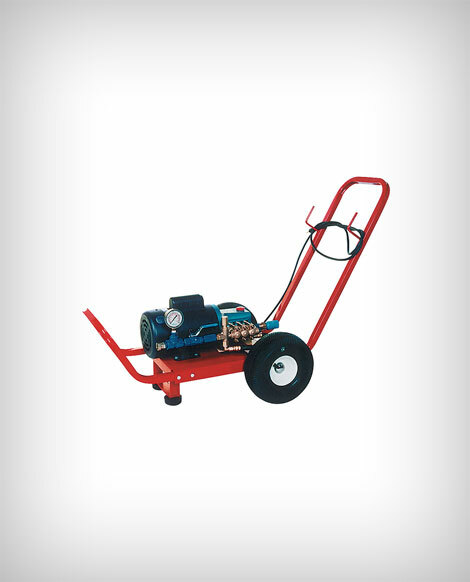 Features a 7.5 HP 230V Hyundai motor (capable of being wired to 460V).